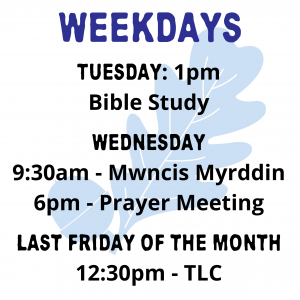 We meet to discuss different books of the Bible every Tuesday afternoon at 1:00pm. 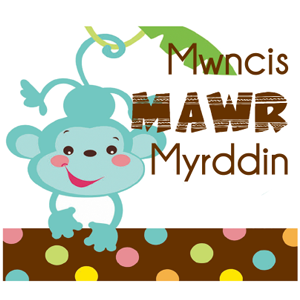 We make provision for both those who speak Welsh and English. 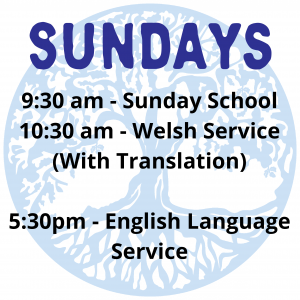 The aim of the study is to come to a better and deeper understanding of the Bible, but more importantly to grow in our relationship with Jesus, and to become more like Him. Several members of other churches join us, and there’s a welcome to any member of any church to come and discuss- our intention is to build up the saints. We also enjoy tea and biscuits and a good chat following the study!